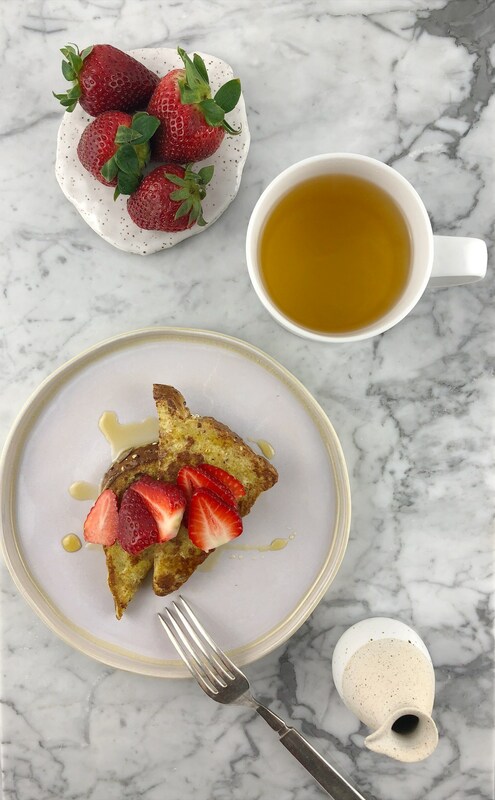 When you think of French Toast you think decadent, but it does not have to be.. Changing a few ingredients will allow you to still eat healthy and enjoy the great flavors of this dish! Starting off with a whole grain bread, which is hearty and nutty.. to the REAL maple syrup, which is how it all started! Topped with some fresh fruit of your choice. Strawberries are starting to be extra sweet as the season is approaching, so I try to utilize what’s in harvest.. Summer is coming quickly and if your like me, you want to look and feel your best! So I hope you enjoy this tasty yet good for you breakfast.